The Amish Concord Armoire provides versatile storage options with two large drawers along the bottom and vast cabinet space behind the two handcrafted hardwood doors. 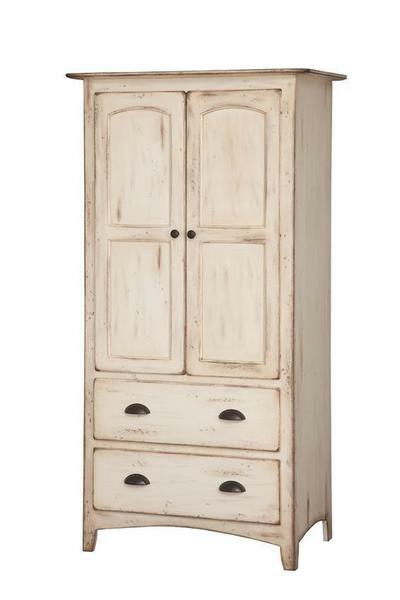 Designed and constructed in America, this hardwood Armoire is built to heirloom quality standards to last generations! Choose from six hardwood species and a wide variety of finish options to meet the design needs of your living room or bedroom. Call us toll-free with any questions or simply for assistance beginning an order or visit our store in Florida.